At Tekcore one of our most basic and essential values is quality. We are dedicated to always providing the best quality products possible. 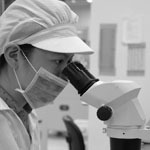 To live up to this promise, our production involves an extensive Quality Control process. Furthermore, to keep our wafers and chips fully up to date we also engage in constant Research and Development. Together, these two practices keep Tekcore's products on the cutting edge of LED technology. 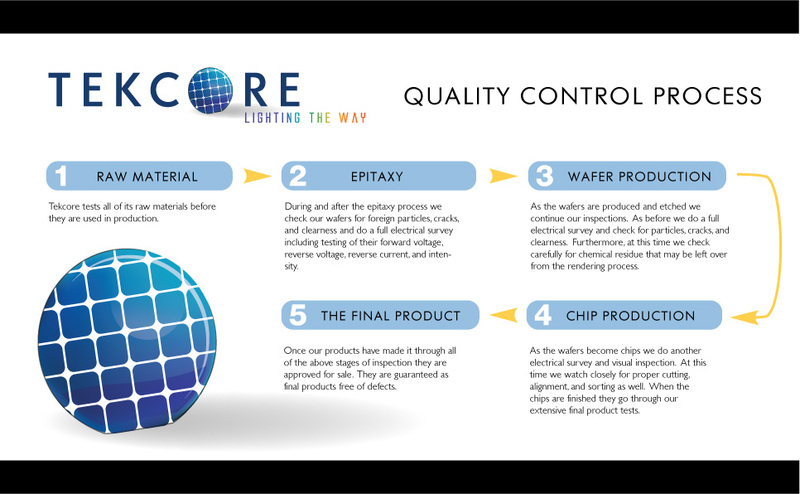 Tekcore's thorough Quality Control process is designed to detect any defects early on. At every stage of production care is taken to asses physical and electrical characteristics. All products receive both extensive human and machine evaluation. Using this system Tekcore is able to guarantee the quality of its products. Click here to see a flowchart of our Quality Control process.